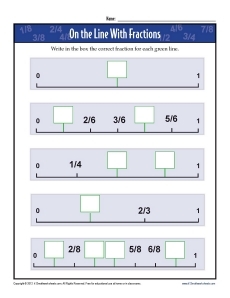 Fractions can be a tough concept for youngsters, but this worksheet will help them visualize fractions on a number line. It's great practice for 3rd grade Common Cores Standards for Number and Operations - Fractions. It's good practice for other grades as well.